Some say that barley water is the secret to long life. It’s been rumoured that the Queen of England drinks it daily. 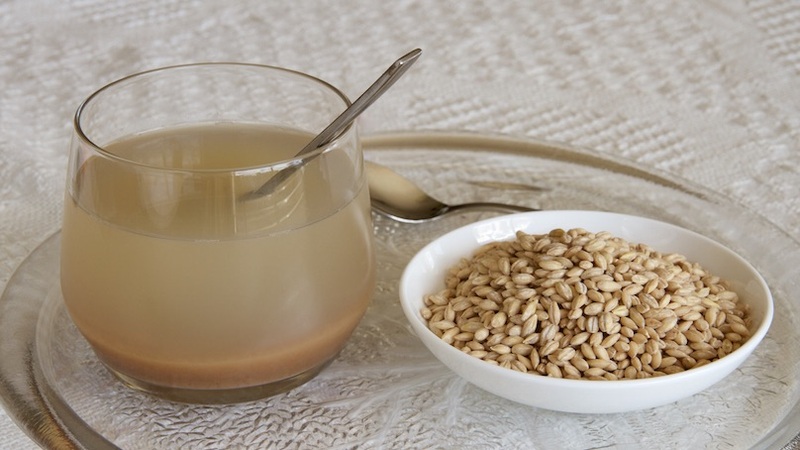 Barley water can be a refreshing summer drink or soothing to help the body during convalescence. According to Ayurveda, it is an excellent diuretic and recommended as a home remedy for urinary tract infections (UTI). It also helps the body to keep cool in hot weather. From a Chinese medicine perspective barley water is ideal for all conditions of ‘Damp Heat’, especially in the genito-urinary system or the Liver. It’s said to soothe the intestines, strengthen the Spleen and cool the Blood. Gently dry roast the barley, add the barley and bring to a rolling boil for about 15 minutes. Simmer for 30-45 minutes or until the barley is soft and disintegrating. Strain and add a twist of lemon juice. It can be drunk neat or diluted a little. Barley malt can be added for sweetness.